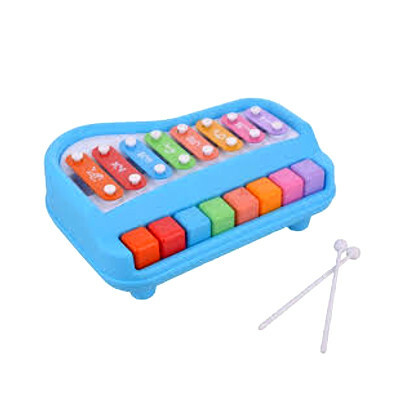 Description: Musical Xylophone and Piano Gives Out a Crisp Sound When Pressed with Hands or with 2 Mallets. This helps kids to use their limbs and learn sounds in a very interactive and interesting way. The sound from the xylophone is natural sound without any alternations.